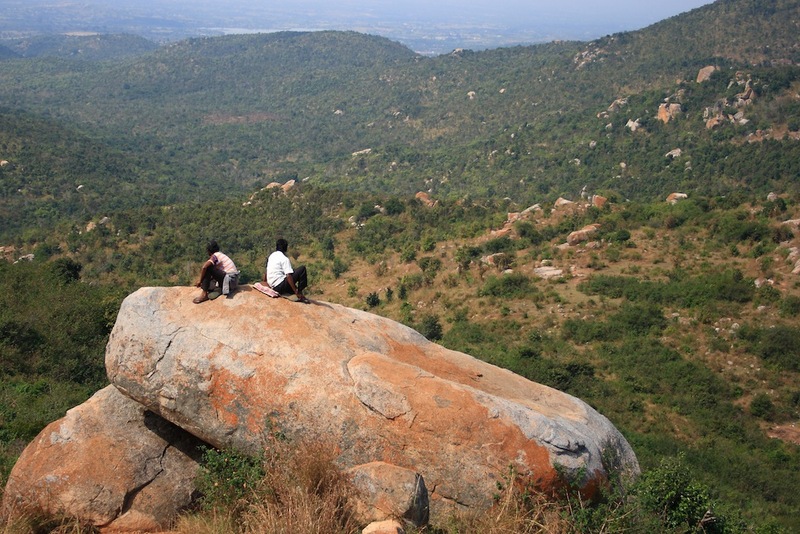 Skandagiri is a hill near Bangalore, at around 70km distance. 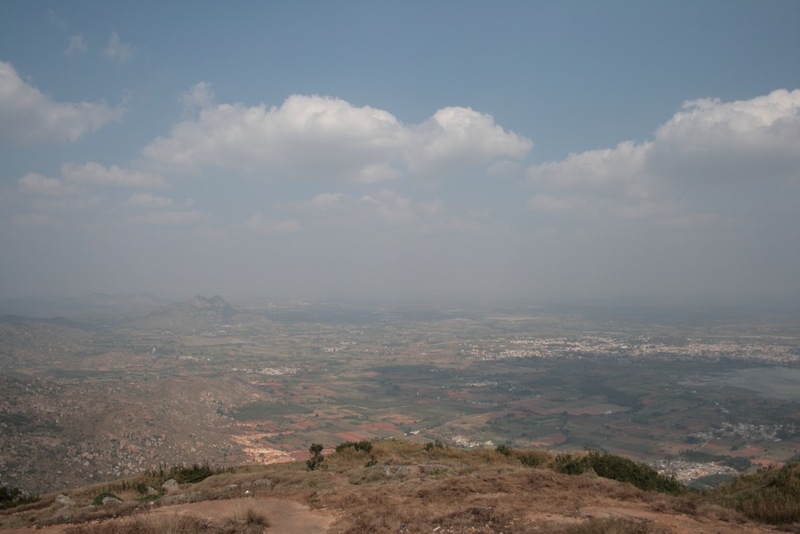 It is also known as Kalavara Durga, meaning the fort of Kalavara. 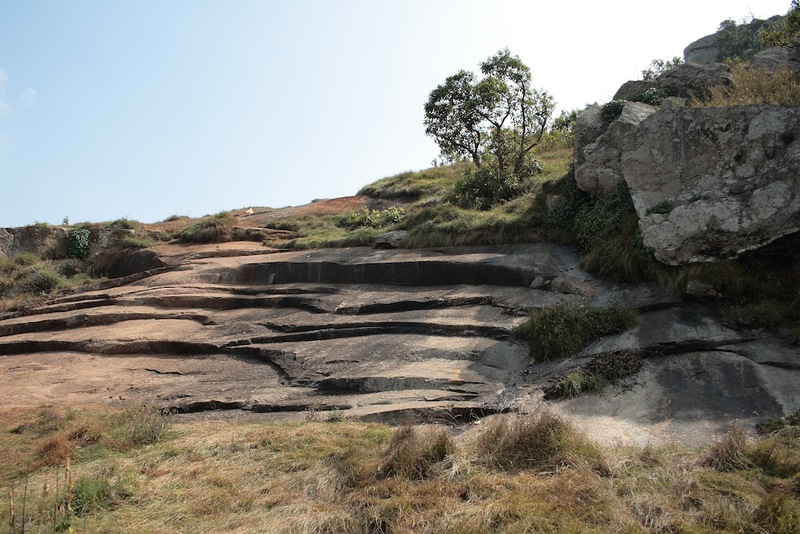 It has an ancient dilapidated fort that belonged to a local king and was later concurred and used by Tipu Sultan. 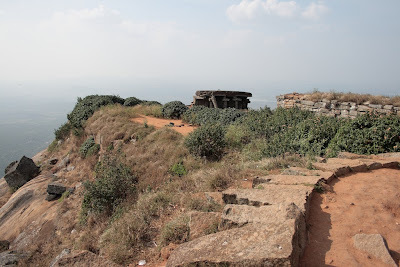 This fort has witnessed many wars, the latest being that between Tipu Sultan and the British invaders. After Tipu's downfall, the fort was ignored and laid in ruins. Today one can only see parts of the fort wall in some places. 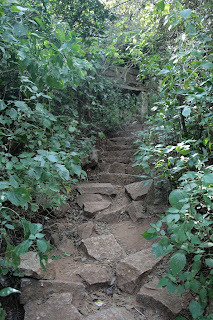 The locals also say there are are many tunnels and caves in the hill and the fort that are still un-explored since those times. Skandagiri is best climbed very early in the morning or in a full moon night. Sunrise seen from the top is breathtaking. 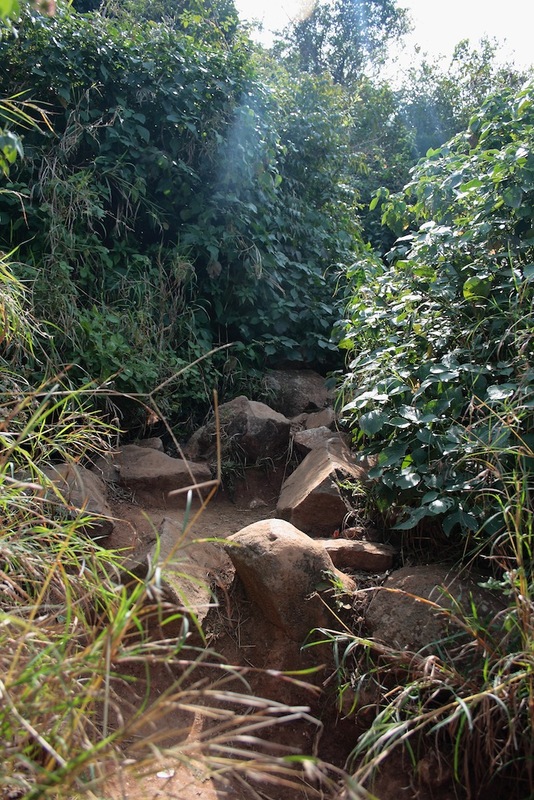 The path is steep at places and the climb takes 2-3 hours. 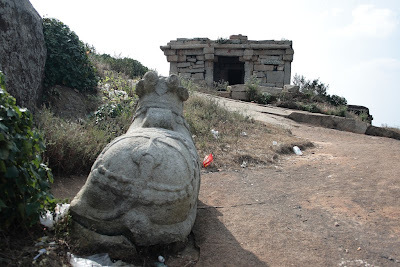 At the top of the hill is a stretch of flat area that has a temple and few stone pillars belonging to ancient houses. One can pitch a tent here, if it is not too windy. It is best to go in a large group and move together. Not too many people go here and there were incidents reported of people getting lost or purposefully misdirected by miscreants. 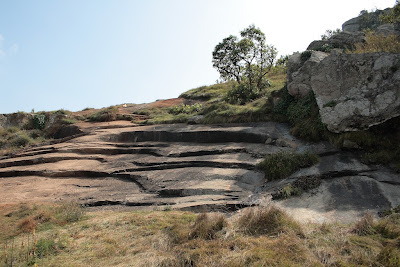 Apparently, I heard that hiking is now banned recently on Skandagiri due to some serious incidents reported. 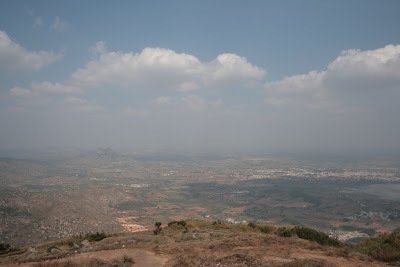 I had visited Skandagiri sometime in January 2011. It was just two of us, and we did not take the risk of going there in the night. We did not find the people very friendly to outsiders - finding parking, water and food was difficult and we had to ward off a few shady looking self invited 'guides'. The daytime hike was hot and strenuous, but the excitement of thrill of reaching the top drove us all along. Here are a few pictures I took. I could not see or capture any breathtaking sunrise or sunset moments though. probably used recently by the night hikers. 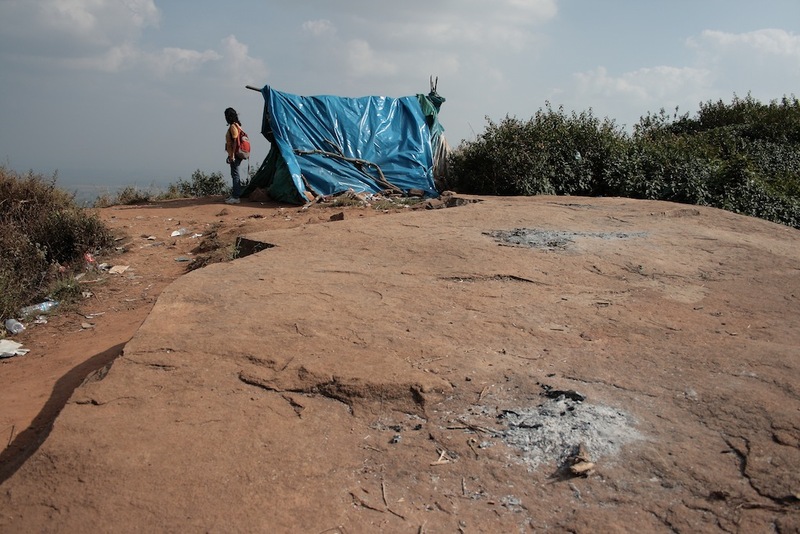 But sadly, the tent and the surrounding place was littered and dirty. witnessing all the happenings around and guarding the hill top. At noon, all we could see is the dry land and houses around us. a rising sun would definitely be some sight from here! Hoping to visit Skandagiri again sometime in the future if it is still allowed and if I get the right company. Next time I hope to do hike in night to see the sunrise from the top. Hey, its horribly deserted! I am sure you are correct about the early morning and full moon night visits. The sun appears harsh. Going by the desolated looks, it appears unsafe for a nightly trip. I liked the way you narrated it, however. Hi Umashankar. Thanks for your comments. You are right in your observation. It is no picnic spot. 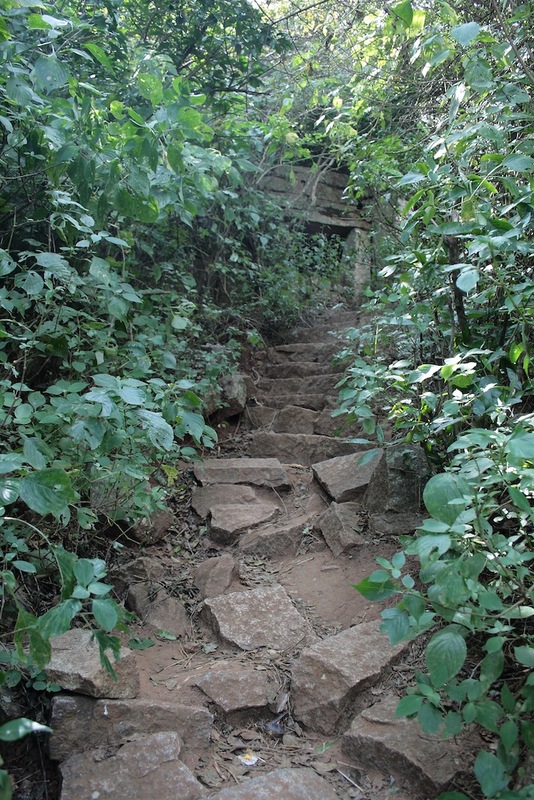 :) The climb is moderately difficult and takes 2-3 hours. The sun is harsh during noon, that's why people climb it early in the morning. And you need to be in a group for safety. But from what I saw in someone else's pictures, the sunrise from this place is awesome. And hey, where would be the thrill if it was as easy as strolling into a park? Glad that you liked the narration. Cheers! Great work on the narration and pictures. My friends and I have been wanting to make a bike trip out there for ages. 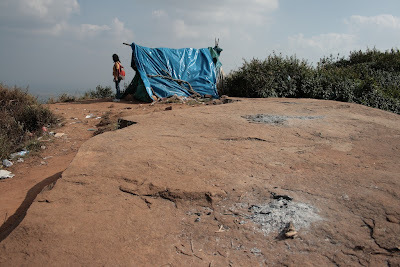 We thought that we would camp out there for the night and then start climbing early morning to see the sunrise. Yes Sheldon, our busy lives take a toll on such small pleasures. Thanks magiceye. Glad that you liked them. 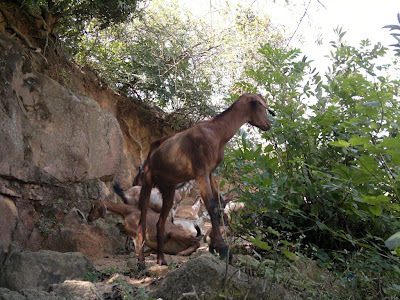 Nice pictures and a good narration!. We have a Skandagiri in Secunderaabd, which is a pretty temple, with so many people messing it up!. I looked up the temple on the internet, and it really looks beautiful. I believe the Lord is always with us in our minds and any place where we can open our minds to access Him is a temple. 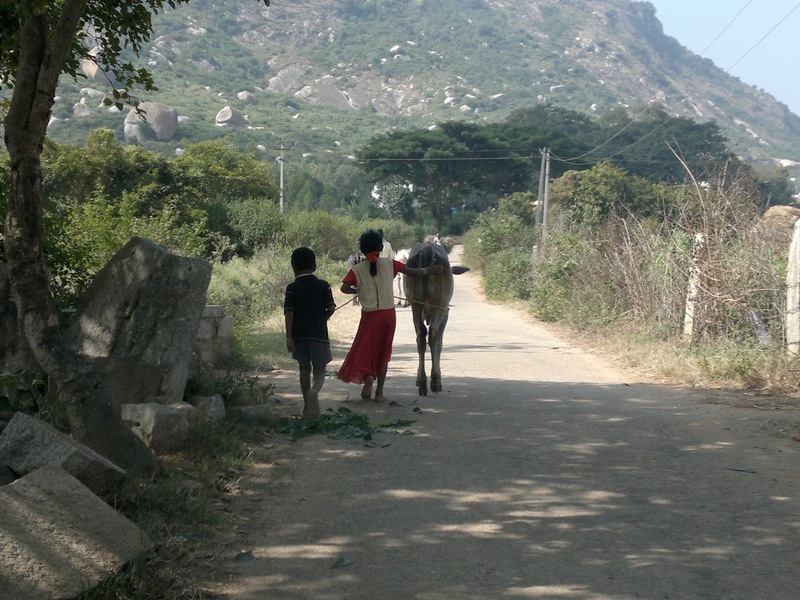 good account of skandagiri- nice pics too ! Very beautiful pictures and a nice narrative, very enjoyable. very well written post and really nice pics. Sounds like a lovely place. You captured it well. We decided on an instant night trek to Skandagiri and here is a video documentary of the same shot from GoPro. Hope you enjoy watching it.